As the nation's capital and the heart of American politics, you can imagine that Washington, D.C., would have some of the biggest LGBTQ pride celebrations. 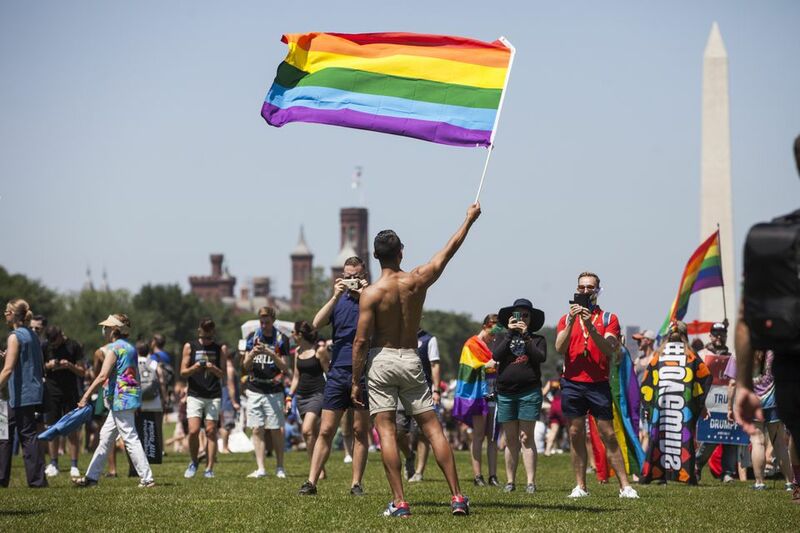 One of the nation's most prominent gay pride events, Capital Pride takes place in Washington, D.C., June 7-10, 2018, but with many events throughout the preceding week. The party draws legions of participants from all over the country and takes place a couple of weeks after another major LGBTQ event in the capital, DC Black Pride. Details about Capital Pride will be provided as information is released. Past events included performances by headliners Miley Cyrus, Meghan Trainor, Charlie Puth, and Carly Rae Jepsen. Although the main components of Washington, D.C., gay pride are the Capital Pride Parade and the annual Capital Pride Festival, the city's LGBTQ festivities actually include a number of parties, gatherings, and activities that take place during the 10 days or so leading up to the big weekend. Capital Pride has a calendar of events with more details on the various activities, including Day in the Dark, a DC Pride Bike Party, Trans-Pride Day, Pride Shabbat, a women's spoken word event, an interfaith service, an outdoor movie, and more. On Saturday afternoon, at 4:30 p.m., the Capital Pride Parade commences in the Dupont Circle neighborhood around 22nd and P St. NW. From here it moves east along P Street, turns north at Dupont Circle, northeast along New Hampshire Avenue, cuts east on R Street, turns south down 17th Street, then rejoins P Street and moves east to 14th Street, where it makes a final turn north and ends at 14th and R St. NW, smack dab in the middle of the Logan Circle neighborhood's increasingly hip and vibrant restaurant scene. On Sunday, from noon until 7 p.m. (with music performances continuing until 9 p.m.), in the shadows of the U.S. Capitol Building, more than 200,000 people will attend the Capital Pride Festival, which takes place at Pennsylvania Ave. NW between 3rd and 7th streets, just northwest of the Capitol grounds. The street festival includes several stages with live entertainment, plus speakers, a family section, and much more. Admission is free, though a $10 to $20 donation is greatly appreciated. Celebrate Mardi Gras in Washington, D.C.